What are the Roth IRA distribution rules? Do you owe taxes and penalties for early distributions? If you know the distribution rules before you make a withdrawal, you're far less likely to make a costly mistake. For instance, did you know the IRS mandates that any withdrawals from your Roth IRA must be made in a specific order? If not, you could find yourself hit with taxes and penalties from a distribution you thought was tax and penalty-free. 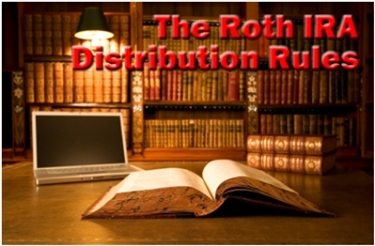 So make sure you know these Roth IRA distribution rules. The Roth IRA distribution rules mandate that your withdrawals must occur in a particular order. And lest you think otherwise, the order of your Roth IRA distributions does matter. Each of the three categories - your original contributions, any rollover or conversion funds you may have, and any investment gains you generated - are treated differently under the Roth IRA distribution rules. So it's very important to know the proper order. Let's take an in-depth look at how each type of distribution is treated. The Roth IRA distribution rules treat your original contributions differently than other funds in your Roth IRA. 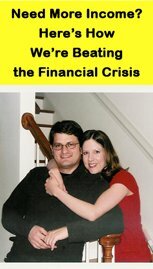 While in most cases an early withdrawal of rollover funds, conversion funds, or investment gains triggers an income tax liability and a 10% early withdrawal penalty, your annual after-tax Roth IRA contributions are the only funds you can withdraw tax-free and penalty-free at any time, under any circumstance, and for any reason. You don't have to reach a certain age or meet any other arbitrary requirements to withdraw your original contributions. And that makes sense. Right? After all, it's your money, and you already paid taxes on it. Let's say you're 45 years old, and you open and fund a Roth IRA, contributing the maximum amount. Ten years later, your account has a total market value of $131,000 - $50,000 from ten $5,000 annual contributions and $81,000 in investment gains. Under the Roth IRA distribution rules, Roth IRA principal withdrawals are tax-free and penalty-free. That means you can withdraw up to $50,000 before you have to worry about income taxes or early withdrawal penalties. But what if you take an early distribution of non-contribution funds from your Roth IRA? If you take an early distribution of other funds, such as rollover funds, conversion funds, or investment gains, odds are you'll owe income taxes and a 10% early withdrawal penalty. The first rule is self-explanatory. In most cases, you need to be age 59 ½ or older in order to take a tax-free, penalty-free distribution of non-contribution funds - although there are Roth IRA withdrawal exceptions. The second rule - the Roth IRA 5 year rule - isn't as obvious and needs to be explained. But it too must be met before you take tax-free, penalty-free distributions of non-contribution funds. So what's the 5 year rule? In short, it states that you must open and fund your Roth IRA for at least five tax years before you can distribute non-contribution funds tax-free and penalty-free. For instance, let's say you open a Roth IRA in 2014 and fund it with a $1,000 contribution. The clock starts ticking, and 2014 is your first tax year. 2015 is number two, then 2016 is three, 2017 is four, and 2018 is five. As a result, on the first day of 2019, your Roth IRA is in compliance with the 5 year rule. If you aren't in compliance with these two Roth IRA rules, then any distributions of non-contribution funds are subject to taxes and penalties. Under the Roth IRA distribution rules, most early withdrawals of non-contribution funds are subject to income taxes and a 10% early withdrawal penalty. For example, let's say you're 42 years old and in 25% income tax bracket. Your Roth IRA has a total market value of $150,000 - $50,000 in original contributions and $100,000 in investment gains. What happens if you close your account and withdraw all of the funds? In this scenario, the first $50,000 you withdraw is tax-free and penalty-free. Because, as you remember, you can withdraw your original contributions tax-free and penalty-free at any time and for any reason. But what about the $100,000 investment gain? Since you're under age 59 ½, the $100,000 is added to your annual income and treated just like earned income for income tax purposes. So you'll owe income taxes on it at your current rate. In this case, you owe 25% of $100,000 - or $25,000 in income taxes. But that's not all. You also owe a 10% early withdrawal penalty which is applied to the entire balance of your investment gains. In this case, that's 10% of $100,000 - or a $10,000 early withdrawal penalty. So all together, you owe $35,000 in taxes and penalties ($25,000 in income taxes and a $10,000 early withdrawal penalty). Now that you understand the basics, are there any additional Roth IRA distribution rules you need to be aware of? Make sure you understand one particular rule regarding Roth IRA conversions. Each Roth IRA conversion you perform is independently subject to the 5 year rule. That means, even if your overall Roth IRA account is in compliance with the 5 year rule, your conversion funds must also be in compliance before you can take tax-free, penalty-free distributions of those conversion funds. Let's say it's the year 2011, you're 57 years old, and you convert $50,000 in your Traditional IRA into a Roth IRA. You first opened your Roth IRA at age 45, and you've made the maximum annual contribution every year since. When 2014 rolls around, you're 60 years old, and your Roth IRA has a total market value of $200,000 - $50,000 in original contributions, $50,000 in conversion funds, and $100,000 in investment gains. How much can you withdraw tax-free and penalty-free before taxes and/or penalties kick in? Because your $50,000 in original contributions is always tax-free and penalty-free. And while your overall account is in compliance with the 5 year rule and you're older than age 59 ½, only four tax years have passed since you made your Roth IRA conversion. So withdrawing your $50,000 in conversion funds will trigger an income tax liability and a 10% early withdrawal penalty. And while your investment gains are tax-free and penalty-free because you're 60 years old and your account has been open and funded for at least five tax years, you can't withdraw a single penny of investment gains until you've withdrawn every penny of conversion funds. Remember the Roth IRA distribution rules regarding the order of withdrawals? So keep this rule in mind if you're thinking about taking a distribution any time soon and you've recently performed a Roth IRA conversion. Knowing the rules can save you from making a costly mistake, so take the time to commit the basics to memory. And unless you're absolutely certain you're aware of the consequences, never do anything without first seeking the advice and counsel of a qualified financial professional.